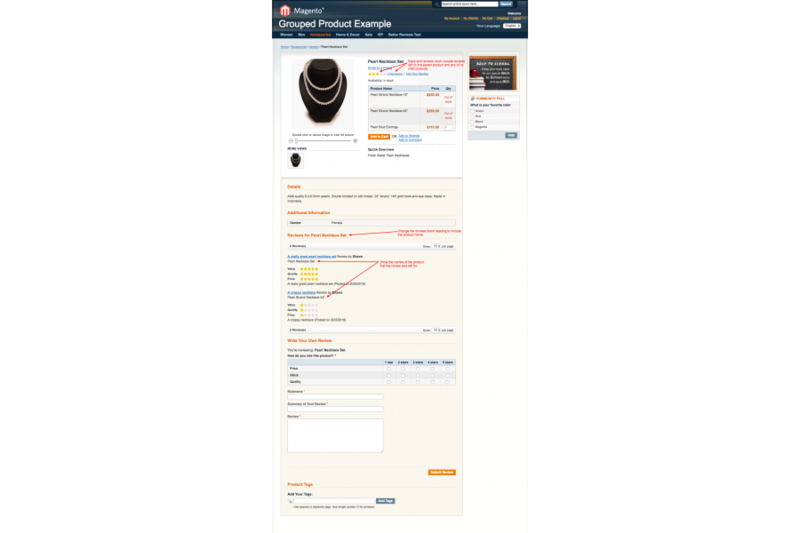 This extension is compatible with Magento CE 1.4 - 1.9. 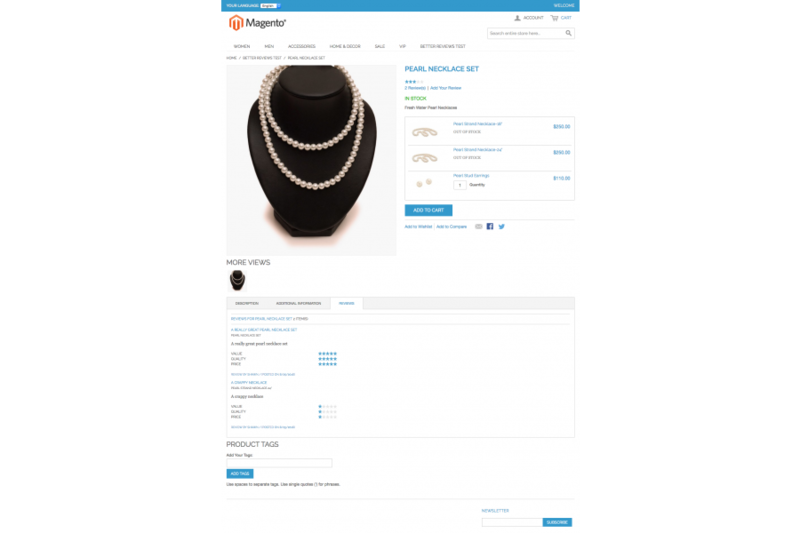 It provides a variety of fixes and improvements to Magento's default reviews system. Also provides a bit of Search Engine Optimization! 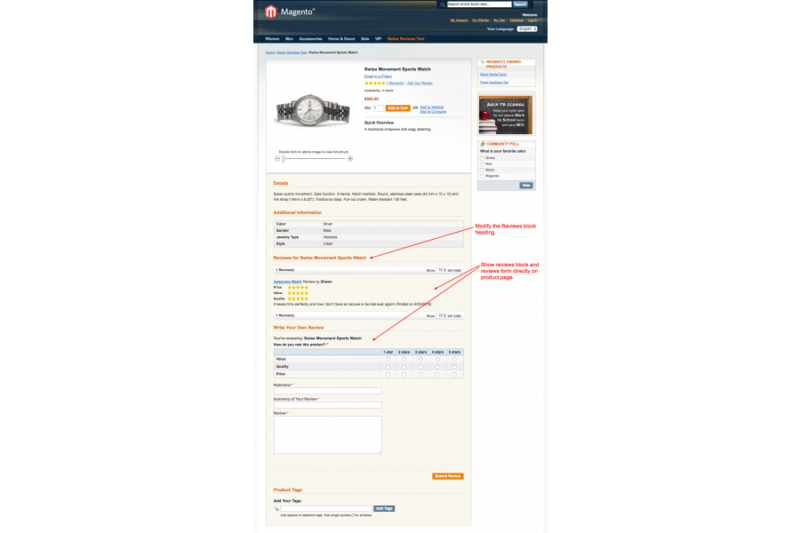 The BetterReviews Extension works on Magento CE 1.4 - 1.8 and works on all product types. Gives you the option to display your product reviews on either the default reviews page or right on the product page. All links around your website that point to your reviews page will be automatically adjusted to use the url respective to the page where you have chosen to display your reviews. If you choose to display reviews on the product page, anybody going to the default reviews page will be 301 redirected to your product page and down to the customer reviews section so that you do not lose any link juice. 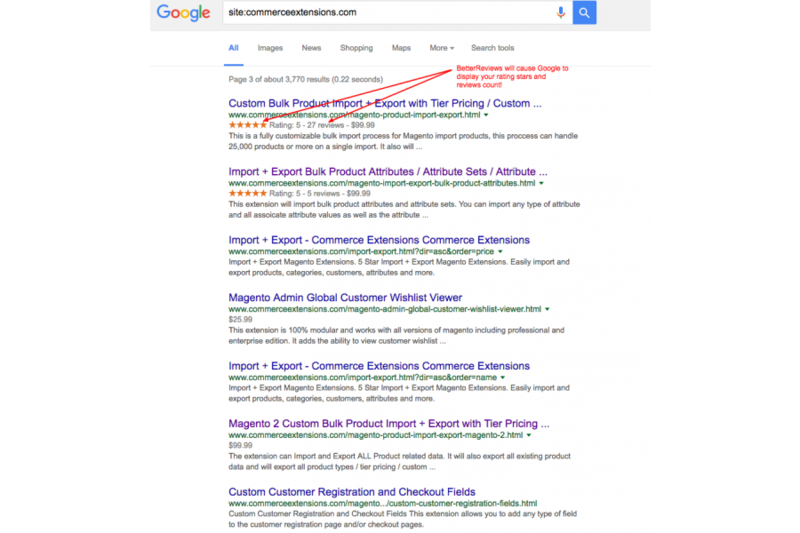 Gives you the option to use a slightly SEO enhanced review template. When the enhanced template is enabled, the reviews section header will no longer say "Customer Reviews", which gives you absolutely no SEO value at all and in fact it contributes to your website ranking for words which don't matter, like "Customer" and "Reviews". Instead it will use the product name like so: "Magento Red Furnitue Set Reviews". On these product types, you have the option to combine all reviews from the parent product and all of the children products in the same list of reviews. 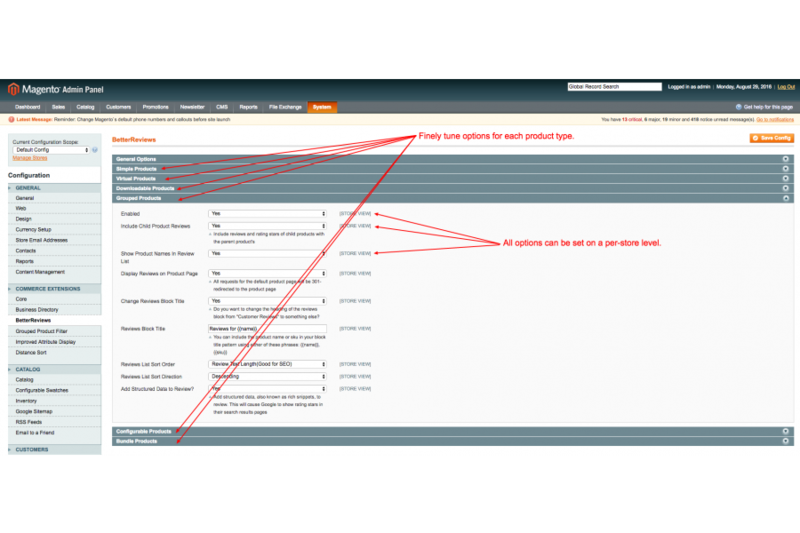 By default, Magento only shows reviews left on the parent product and any reviews left on the actual associated products that your customers have purchased are left out. This fixes that issue. This extension will readjust the star ratings to reflect all reviews left on the parent products and children products together. On Grouped & Configurable products, the enhanced template will also list the name of the associated product on which the review was left, right under the heading of each review. This places more relevant content on your page. And if your customers leave content-rich reviews this is even better for your relevancy.